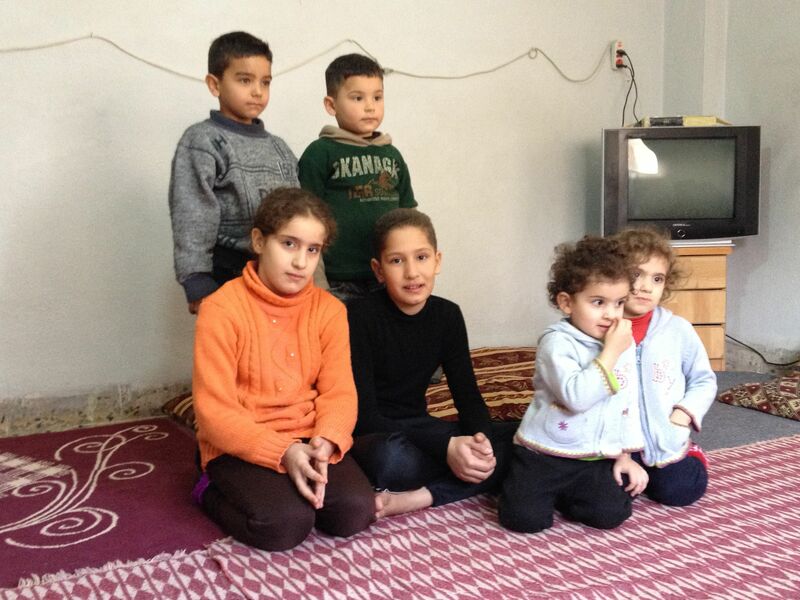 Our typical visit with Syrians involved a single family, 4-8 men, women or children. Doctors examined injuries, illness, reviewed medications and gave advice. Translators were involved and most important. But there’s always a shared human moment when no words are necessary…a blessing for all. 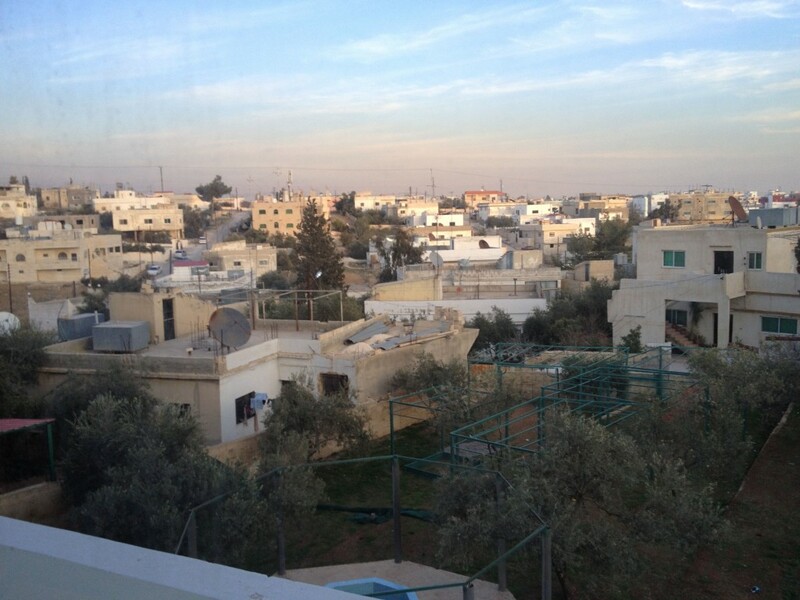 One day we visited three men including two brothers in Mafraq in northern Jordan. One man told us he had just been released from two years in prison where he was tortured. He was remarkably well, managed to smile a couple of times. Our doctor examined his bruises and skin rashes. At the end of our visits, we asked to hear stories of their exodus which they freely gave. Then we would pray together. Jesus was with us. It was powerful. It was appreciated. It was awesome. Salaam alaykum….Peace be with you. I am here. On sacred ground. 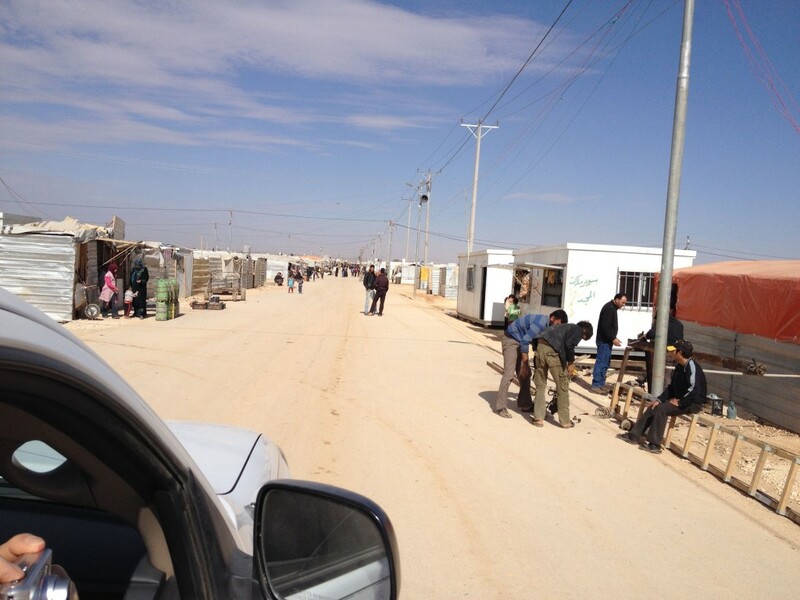 I am at Zaatari Refugee Camp in Jordan, now home of more than 150,000 Syrian refugees. It is an awesome place, with tents and families sprawling in all directions. Word of tight security preceded our visit but our way was made straight. Our American host and driver contacted a friend who operates a sports class in the camp and provided easy passage through the entrance. Once inside, you see rows and rows of UN-stenciled tents. Families cluster in groups. Produce and clothing are available in the bazaar, a destination of the day. Children and parents escaping violence enter Jordan and are sent here to register and to make a home. And wait. The Syrians inside Jordan are not allowed to work, although entrepreneurs can flourish. There are playgrounds and activities for the kids. For the parents, there is only time to contemplate and plan a life outside the camp. It won’t be soon. Five days of visits to Syrian families seeking refuge in Jordan introduced me to many children. Some were ill requiring examination from the three doctors on our team. Their siblings, cousins and grandparents crowded into the apartment to see if the Americans could improve the health of one of their own. The ailments ranged from winter viruses making the rounds in throats and sinuses, to vision problems, to diabetes. One 11-year-old boy lost hearing in his left ear from the artillery shelling by the Syrian army. Nerve damage, he was told, cannot be undone, but it wouldn’t get worse. The Davis doctor who told him that had lost hearing in her right ear 20 years ago. There is a stigma here that an injured or sick child is damaged goods. Refugee families qualify to get medical care from the Jordanian government. For the most part, and the patient, it works. Receiving house calls from American medical professionals this week was a unique event. All children suffer from the effects of the war in their country. Running for their lives into a refugee camp or a foreign city with all they could carry is not ideal. Innocence is lost when leaving your home, friends and routines because a desperate regime turns on its own people. The light in their eyes is not extinguished, however. Childhood has its resiliency despite the emotional walls that may be erected. Not all refugee situations are the same. Some are able to get children into schools in Jordan. Others do not. Continuation of education leads to the possibility of a future, hopefully in Syria. It was a great day in Mafraq, Jordan on Tuesday. Our five-man, one-woman team of doctors, pastors and I drove 80 kilometers north to the village to fellowship with some Syrian refugees pouring into the region. We met with the pastor who organizes the outreach then joined about 50 other volunteers on the roof of the church for breakfast. All four corners of the globe were represented. Experiences, hopes and dreams were shared over hummus, falafel, flat bread, yogurt, pastries and tea. The weekly event was made more interesting when a delegation from Czechoslovakia, accompanied by video cameras, joined the party. As conversations bloomed, I worked the rooftop with my camera, attracted to interesting relationships under development. Next to me was Pastor John Ramey chatting with a young Syrian, Abbas, who, speaking in very good English, was telling about his escape from violence. Working with our colleagues in Amman, I had been admonished, more or less, to not photograph or videotape the refugees for fear of reprisal by Syrian security forces. Before our arrival, there was an incident where identities were revealed online which resulted in harassment. No one wanted a repeat of that. In Mafraq, however, the situation was different. Our colleagues there had gained the trust of the refugees in their care and allowance was made for me to videotape them. With discretion. So I crouched behind Abbas and recorded his conversation with John, who asked if he had been attacked, and how he got of Syria. It was a â€œmoney shotâ€ moment. Later in the day, as I reviewed the clips on my camera, my heart sank as the interview was missing. Not the first time in my experience that I missed a shot because the camera was on when I thought it was off. But how would I break it to John that this fabulous, spontaneous moment was missed? I went to bed with prayers for confidence and guidance. This morning I was up early to shave and shower before the the rest of team, now larger as two others arrived from Davis overnight. I fired up the laptop to download photos and video and see what I got. Lo(rd) and behold! The interview was there! My heart soared with joy as the day was made. I gave praise to God for saving me after I walked through the valley of death in my guilt and disappointment. God is good. All the time. And it is always nice to me reminded.